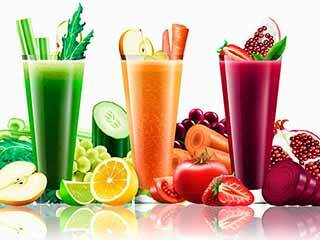 Home » Blog » Health Articles » Detoxify your body post-Diwali? Like many other celebrations all over the world, food plays a central role in Diwali. Exchanging gifts, which include sweets and dried fruits, is an important aspect of the holiday. It is common for friends and families to eat big meals throughout the day and put the diet aside, indulging in a variety of high fat, fried foods. Diwali is the perfect time of year to indulge. As friends and family rejoice together and sweets and snacks are lavishly distributed, it can also mean that high calorie temptation is always close at hand. Especially so, if you are fighting the battle of the bulge, making a tremendous effort to keep your weight, cholesterol and diabetes in check. Not surprisingly, this season can offer the most dangerous pitfalls for good health. If you cook for Diwali, try making more baked foods rather than deep frying foods. You can also cut down on some of the ingredients. Cutting the sugar in half or substituting low-fat milk for whole milk will also make a difference. It will still taste good and it will have half the amount of sugar or fat. Our body gets overloaded with too much of sweets, oily food and much more and detox is a process by which our body gets rid of the unhealthy substances. Water works wonders and drinking plenty of water helps to flush out the toxins accumulated inside the body. One of the best methods of detoxing is to start your day with lemon water. Diwali celebration is loaded with sweets. Try to avoid soft drinks, ice creams, chocolates and other food items which is full of sweeteners. But you can have fruits because it contains natural sweeteners and they also help detoxify the body. Try to have lesser portions of meals and that too in frequent intervals. Make your intake 5 to 6 times than the regular 3 to 4. This helps your body to detoxify at a faster pace. Exercise is the best option to make your body healthy overall and to detoxify. You can also go to a spa and try a massage that helps to rejuvenate and relax your body. Both exercise and massage can help make you stress free and rejuvenated after the festival. Food during Diwali is traditionally sweet. Sugar and ghee are present in many of the foods which means they are often highly calorific and the sugar will raise blood glucose levels quickly. Some of us can do this better than others. If you have sufficient will power, taking smaller portions of sweet foods will allow you to get a good taste of Diwali without your blood sugar levels suffering. Halving or even taking quarter sized portions of sweet foods will allow you to enjoy a greater variety of sweets. Keep a count of what you%u2019re having as it can be all too easy to lose track. By making your own sweets, you can have much better control of how much sugar, carbohydrate and calories will be in the food. If you need to watch your calorie intake, use less oil for any fried foods and use more healthy oils such as olive and avocado oil. If your blood sugar levels are at risk of going too high, read our guide on diabetic friendly baking. Nutritionist Monika Patil based from Aurangabad, India is a well-presented, self-motivated and confident nutritionist/dietitian with experience of assessing a patients' nutritional needs, then developing and implementing nutrition programs for them. Possessing the ability to communicate complex and sensitive information about dietary matters in an understandable form to patients. Having a proven track record of successfully promoting healthy eating habits to communities and suggest diet modifications to individuals.